Julian Omidi discusses the latest developments surrounding Hurricane Sandy. Residents whose own properties might not have been severely affected by Hurricane Sandy would do well to inspect their homes or businesses thoroughly, nonetheless; there might be signs of damage that could lead to problems later on. 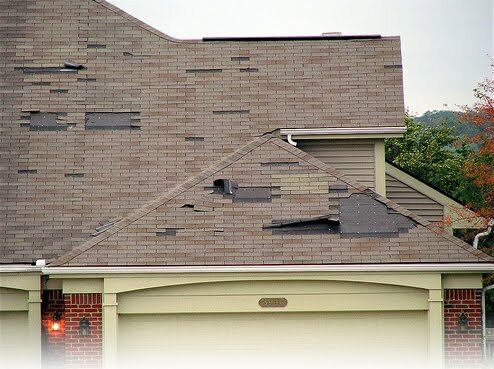 Even if there appears to be no severe damage to your roof, shingles could have been damaged or blown away, which will lead to leaks later on. Look at your top floor ceilings as well as your attic ceilings for signs of spotting and water damage that could indicate a leak in your roof. 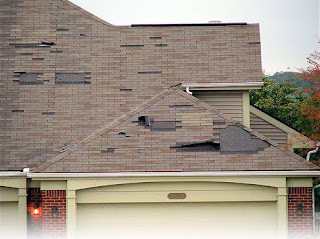 Climb up to the top of your roof and check if any of your shingles are cracked, broken or missing. If you have a two-story home and do not feel comfortable climbing a ladder that high, ask a neighbor if you can look at your roof from their second-story window. Avoid walking on your own roof under any circumstances; you risk not only injuring yourself, but cracking delicate tiles. Even some professional inspectors refuse to walk on roof surfaces. It is also a good idea, while you are checking your roof, to also check that the gutter system around your home is sound and that the gutters haven’t detached or bent. It is also a good idea, while you are checking your roof, to also check that the gutter system around your home is sound and that the gutters haven’t detached or bent. Make sure all of the trees near your home are standing as straight as they were before the storm. 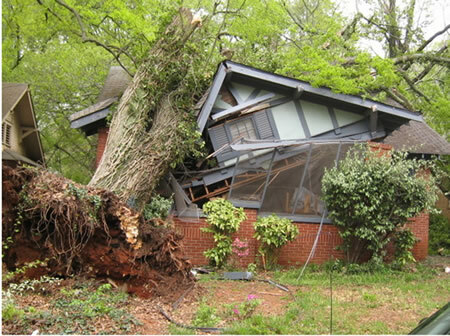 If you notice a tree leaning slightly, have a certified arborist inspect it to assess its stability. Many types of trees will grow towards light, but all pine trees grow straight; if you see a conifer leaning, it might have to be uprooted. Make sure that your meter box hasn’t been damaged, or that neither the weatherhead (the pipe that extends from the top of the meter box), nor the riser (the pipe that connects to the meter from below) have been bent or compromised in any way. If you do notice damage, have an electrician come out and inspect it further. Even if your basement didn’t flood outright, the appearance of mildew several days later might indicate that there was a leak that was undetected. You can tell that mildew has accumulated by the smell. If you detect signs of mildewing in your basement or anywhere in your home, have an emergency fire and flood cleanup service come out to inspect for leaks, perform a structure drying procedure, clean your home of mold and mildew and, if necessary, waterproof your basement and crawlspaces. Should your home or business need any repairs, make sure to check that any repair service you hire is licensed by the state, as well as bonded and insured. You can check your state licensing board’s online directory of service providers for a properly certified repair service. Jesus Christ, that one house got completely totaled by that tree... Ouch. I hope no one was harmed or injured in such a disaster. Shame so many home owners lost their shelter. 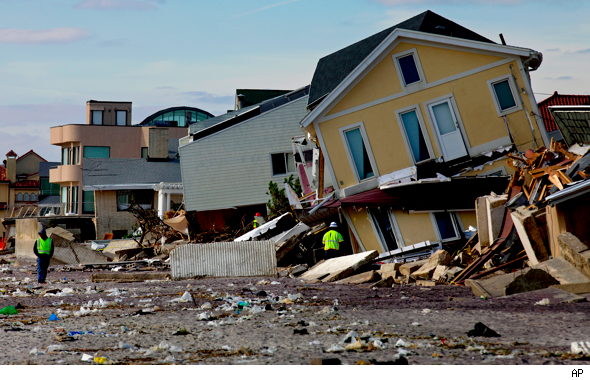 Thousands of families lost houses because of hurricane Sandy. It’s very terrifying. Good thing there’s a lot of roofing and construction firms on the line that were willing to extend their services. It’s been months now. I hope they‘re all doing great. Home is one place that we feel secure and comforted, and it’s very devastating to see your lovely home get damaged this way by a hurricane. But then I realized that the lives of our family members should matter most over material things. A house can be fixed or replaced, but not the life of our loved ones.